Dr Choo graduated from National University of Singapore in 1981 with a Bachelor of Dental Surgery. She continued to pursue her post graduate studies in the University of the Pacific in the USA and obtained a Master of Science in Dentistry (Orthodontics), followed by a Certificate in Orthodontics in 1995. In 1999, she was conferred the title of Fellow of the Academy of Medicine (Singapore). In 2005, Dr Choo obtained the Diplomate of the Amercian Board of Orthodontics and was invited to showcase her work at the Annual Meeting of the American Association of Orthodontists in San Francisco. 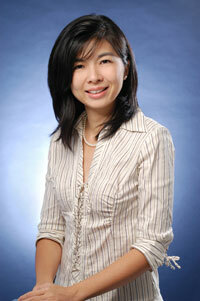 She is counted amongst a small and select group of Orthodontists in Singapore that has achieved Board Certification. In 2008, she was appointed as a committee member of the DSAC dealing with the Specialist Accreditation of Orthodontists in Singapore. Dr Choo is currently a senior consultant at the National Dental Centre and is a senior clinical lecturer in the NUS-NDC Orthodontic Residency Programme. She is also a visiting Consultant at Changi General Hospital. Dr Choo is a part time practitioner in RCOLL and is restricted to the practice of Orthodontics.